The combination of improvements in hardware and software capabilities have brought lots of renewed interest in virtual reality experiences. Many of these improved capabilities are available in modern browsers via the Open Web Platform (OWP), and thus make the Web a promising ecosystem to create, distribute and enjoy virtual reality applications and services. 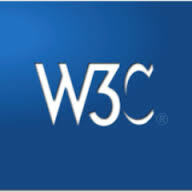 W3C is organizing the workshop to look at the intersection of Web and Virtual Reality technologies. The workshop aims at enabling sharing experiences between practitioners of the field, discuss existing gaps in the Web platform that make some Virtual Reality use cases difficult or impossible in browsers today, and explore what future standards are needed to pave the way for the Web to be one of the major VR platforms. The event is open to all; position statements or expression of interests will be required to participate, due by 16 September 2016.